I have begun a workout log by video and am posting many of my sessions up on my YouTube Channel. I call this series Fire Walk with Me, because I am a huge fan of the early 90’s series Twin Peaks, and Fire Walk with Me was a movie they made about the series later on after the series ended. Plus Fire Walk with Me just sounds freakin’ cool! So, if you haven’t subscribed yet, make sure you do. 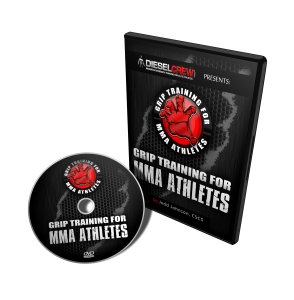 I have been fielding lots of questions in the comments and by email regarding how I implement grip into the main workout and how to train for it specifically, as well as other stuff. I am also looking for feedback on how to improve my lifts, specifically the squat. I have laid off heavy squatting for quite some time due to back injuries, but now that I am doing a great deal of “soft work” – foam roller, stretching, mobility exercises, I figure it is time to start building the squat once again. Some other main focuses of mine are overhead with the log, posterior chain, and of course grip. 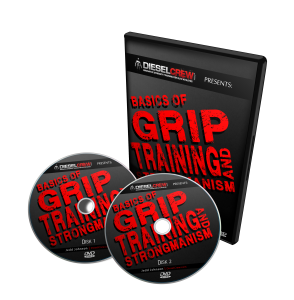 Also, if you didn’t see the three video clips from a couple weekends ago when all the Diesel guys, the Hasheys, and many grip dudes came down, they are on my channel as well, so check them out too. Make sure you subscribe to my channel, because I have a lot more stuff to show you, just haven’t been able to fit it into the 10-minute limit that YouTube allows. P.S. Look for some card tearing and nail bending coming up really soon. I am feeling the urge to destroy some stuff very soon!!! 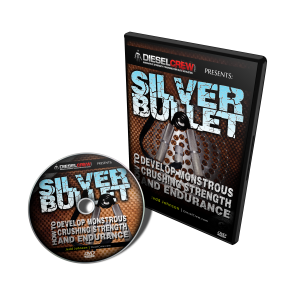 This entry was posted on Monday, August 10th, 2009 at 6:16 am	and is filed under athletic strength training lift odd objects, create your own garage gym, feats of strength bending, grip strength blob, old strongman feats of strength, strength training muscle building workouts. You can follow any responses to this entry through the RSS 2.0 feed. Both comments and pings are currently closed. Jedd, loved your nail bending ebook, I’m in the middle of AMD right now but I’m wanting to bend some nails after my 16 weeks is up…I’d like to see if my nail bending improves after my overall body strength comes up. I do the grip exercises (particularly the hammer exercises) as regularly as I still can during AMD, they’re great. My grip strength has improved ALOT just from those exercises. Nice work bro, keep it up!